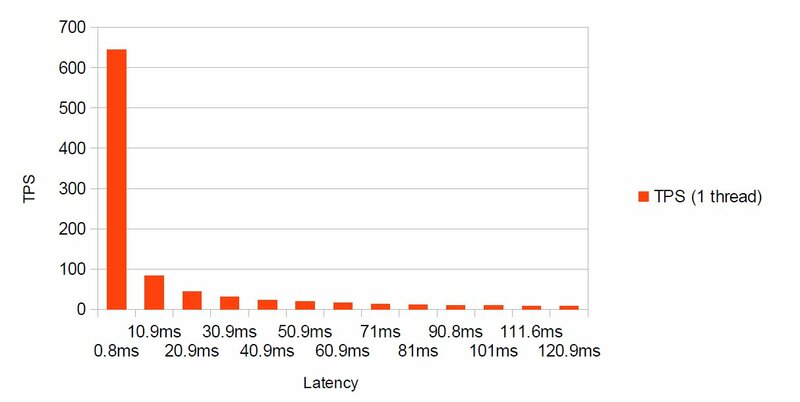 This is post about quick & dirty experiment to better understand how network round-trip time (RTT) affects single thread performance of Oracle JDBC operations. Non-XA transaction description: single INSERT to simple table. Transaction initiator: custom written Java7 OraXAJDBC program for purposes of this test running on small VM. Latency has been introduced via netem qdisc on Linux (both ingress and egress). Common sense workaround seems to be increase threads/number of connections in connection pool, however this approach in longer term seems to be not scalable. Each connection in Oracle 11.2 is served by separate process on the DB server, that takes some resources (mainly memory – PGA). The more connections coming to the DB to server the more often CPUs need to switch between processes – process known as context-switch. 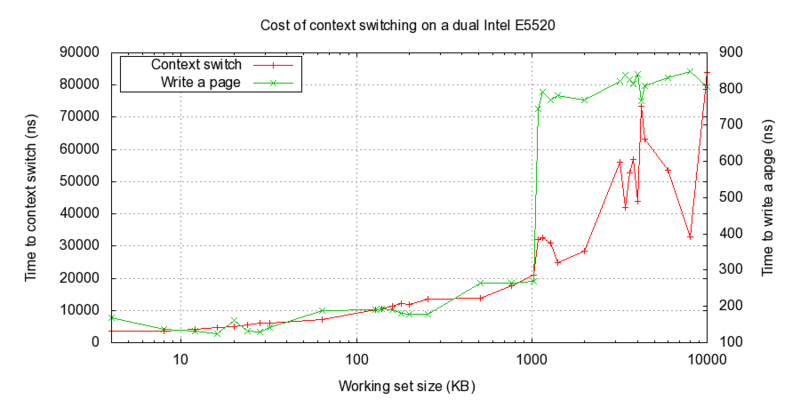 Context-switch usually destroys L1-L3 CPU cache efficiency and thus degrade performance (introduces additional latency) when many processes compete for CPU core. This entry was posted on Wednesday, December 17th, 2014 at 10:55 am. And is filed under Latency, Oracle. Entries (RSS) and Comments (RSS). 20 queries. 0.149 seconds.